Executive producer Martin Scorsese presents the electrifying sophomore feature from rising director Jonas Carpignano (Mediterranea). 14-year-old Pio (Pio Amato) wants nothing more than the respect of his older brother, whom he emulates in every way?including his career as a petty criminal. When both his father and brother are arrested, Pio is determined to prove that he can step up and be the head of his sprawling Romani family. But a fateful night and a wrenching decision soon test just how ready he is. 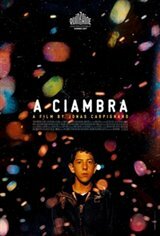 Steeped in the complex social fabric of Southern Italy?where Italians, Romani, and African migrants coexist in uneasy tension?A Ciambra is a bracing plunge into a world in which growing up fast is a matter of survival.